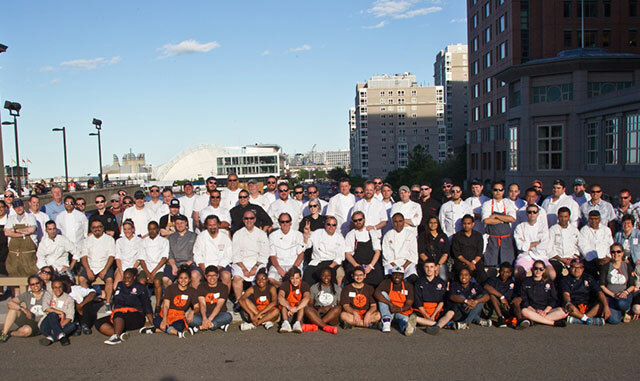 The arrival of summer brings Seaport’s annual Chefs in Shorts event on Friday, June 19th. Back in 1998, Chefs in Shorts was created featuring a handful of chefs, enjoying the outdoors while creating grilled specialties for attendees. The intention was to create an event that attracted the public while raising awareness of both the newly-opened Seaport Hotel and this ‘new’ area of Boston. Chefs in Shorts has now turned into one of the city’s more popular culinary events, raising awareness and valuable funds for Future Chefs, a local non-profit focused on first careers in the culinary arts. If you haven’t joined us for Chefs in Shorts previously, consider attending this year. It’s an event unlike any other in the city and all proceeds benefit Future Chefs. We hope to see you on June 19th!